Amazon is one of the largest online shop on the internet, selling everything from CDs and books to makeup and groceries. Amazon also provide its own credit cards. How to Get Approved for an Amazon Credit Card? Before applying for the Amazon credit card be sure to read the ins and outs of the various programs . 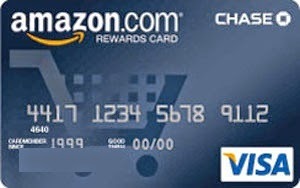 The Amazon credit card is a Visa card and using Amazon credit card for purchases earns you rewards like $25 gift certificates to Amazon.com. Goto Amazon website and place an order into your shopping cart. You will be asked to apply for the Amazon Visa, that is Amazon credit card, this offers you a $30 instant bonus if you instantly approv for the card. Give acccurate information. Credit decision will be on your currunt credit status and also on your income. Wait for your. If decision will not show instantly then you will need to wait a few days and decision will come either via snail mail or email. Use the Amazon credit card so you can get the $30 bonus credit. Also pay attention to reward points like 2,500 amazon points will gets you the $25 reward.